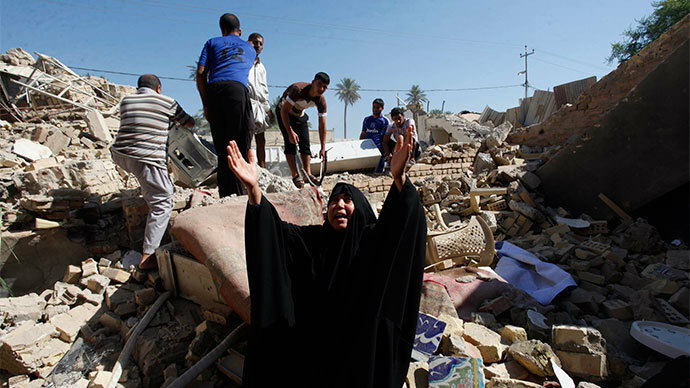 Almost half a million deaths in Iraq between 2003 and 2011 were caused by war and occupation, according to new research. The figure is around four times bigger than most previous estimates. An estimated 460,000 deaths in Iraq from March 2003 to mid-2011 were caused by violence during the war with the US and the subsequent occupation by coalition forces, according to a statistical research published in PLOS (Public Library of Science) Medicine journal, an open access source. Of those excess deaths, 35 percent are attributed to coalition forces, 32 percent to sectarian militias and 11 percent to criminals. The survey further details that the majority of violent deaths – 63 percent - were the result of gunfire and 12 percent from bombings. 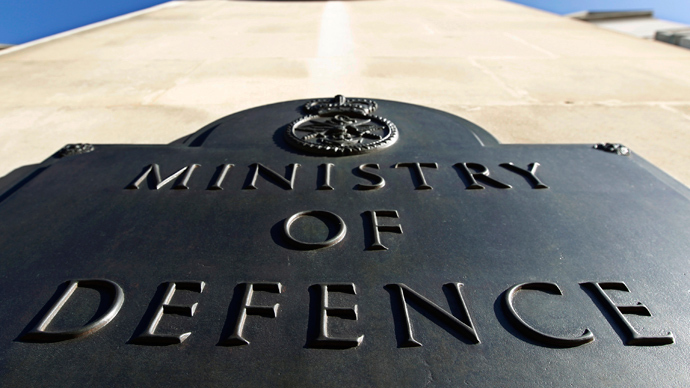 The authors of the report claim their “findings provide the most up-to-date estimates of the death toll of the Iraq war and subsequent conflict,” as they carefully studied previous surveys on the issue and took into account the criticism which they inspired. A group of interviewers collected data on deaths of family members from 2,000 randomly-selected households in 100 geographical clusters, situated in Iraq's 18 governorates. The researchers then extrapolated the figures they received to the overall population of Iraq, an estimated 32 million, to come up with their estimate of Iraq's national death toll. “One of the problems clearly is that we're asking people to remember a very long period of time," lead author, Amy Hagopian, an associate professor of global health at the University of Washington, told Los Angeles Times. "There can be a lot of forgetting, and that forgetting will be in favor of a lower count." A fresh analysis of the deaths in the Iraqi war has a strong anti-war message, the authors of the study believe. “When researchers can refine methods to project death counts in advance, as well as to measure total deaths incurred as wars conclude, the public can make wiser decisions about the costs of entering into armed conflict. An authoritative worldwide body could assemble scholars to perfect these methods,” the conclusion to the survey reads. Most of the previous estimates came up with figures that were several times lower. According to British-based Iraq Body Count research group, for example, 118,200 Iraqis died of violence between 2003 and 2011. However, PLOS Medicine journal is not the first to make public much higher number of Iraq war casualties. A 2006 report in the authoritative The Lancet medical journal estimated 654,965 excess deaths (or 2.5 percent of the population) related to the war in between 2003 and mid-2006. Meanwhile the body count continues in Iraq as blasts and shootings are almost a daily reality there 10 years after the US invasion. 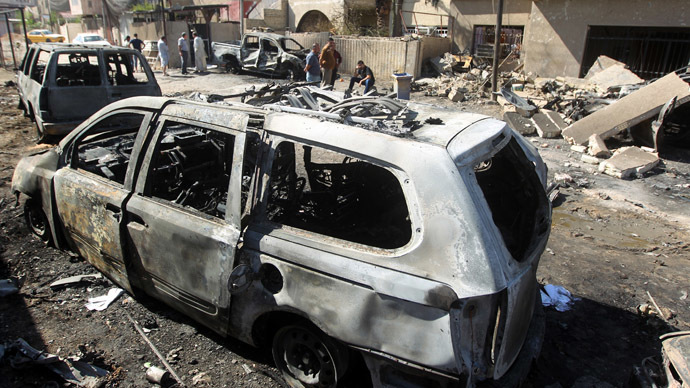 The beginning of October saw a string of coordinated bombs attacks kill 38 people in Baghdad, the epicenter of ongoing violence. 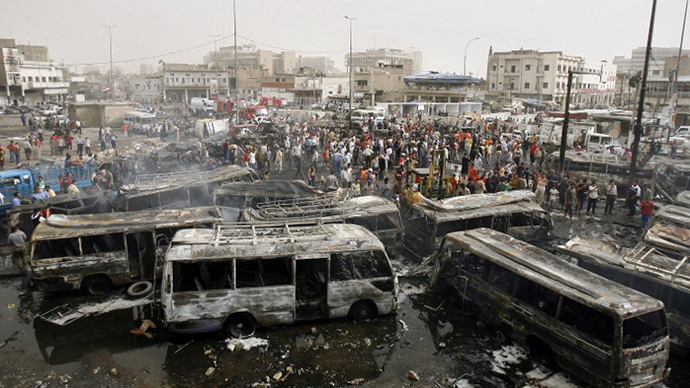 The most recent UN report says the death toll for September alone is 1,000 Iraqis. The country is witnessing an upsurge of violence this year, following a deadly crackdown by the Shiite-led government on a Sunni protest camp in northern Iraq in April. 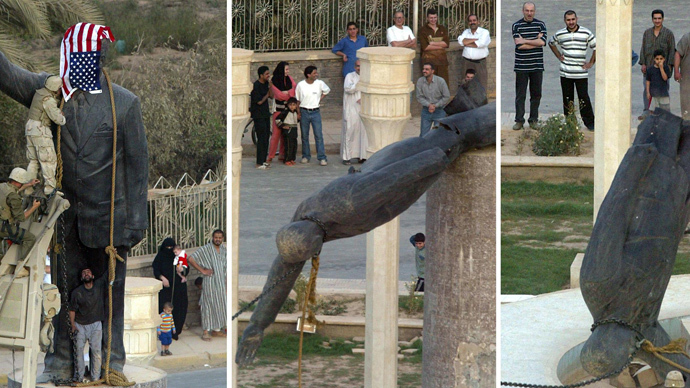 Five thousand Iraqis have died since that time.